Searching for a 2019 Volvo XC90 in Norristown, Pennsylvania is simple when you come to The Wynn Group. You’ll be able to find a new Volvo our inventory that will be more than satisfactory, thanks to our wide stock of vehicles. We have the range of 2019 Volvo XC90 models, providing you with the chance to check out this amazing luxury crossover in person. You’ll find both the exterior and interior design of the Volvo XC90 meets the highest standards. Not only does everything have dramatic aesthetic appeal, even the smallest details function smartly for real life. 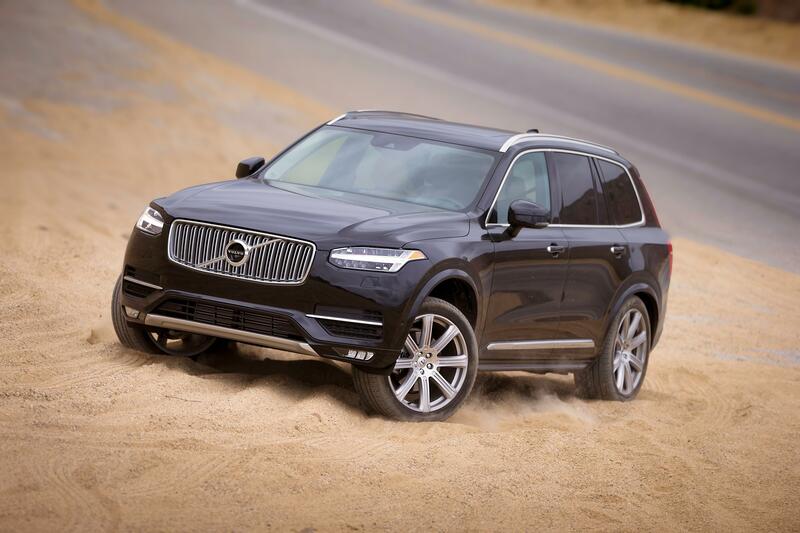 Just one look at the Volvo XC90 exterior and you’ll be hooked. Simple lines, like the dramatic Hammer of Thor daytime LED running lights or front grille that appears to float in the body, making a strong statement. Instead of trying to turn heads with excess, everyone will notice this crossover for the beautiful simplicity. On the inside, you’ll find such functional luxuries as optional power seat cushion extensions for the front seats, standard rear center armrest with built-in cupholders, and an available refrigerated compartment between the rear backrests, perfect for storing drinks on a hot day. Plus, with seven seats standard and a healthy cargo area, you can take everyone and everything on an adventure. Of course, Volvo has a legendary reputation for safety innovations. That forward-thinking shows through clearly with the Volvo XC90. The crossover packs a comprehensive array of technologies to address not only risks on the road but other needs as well. 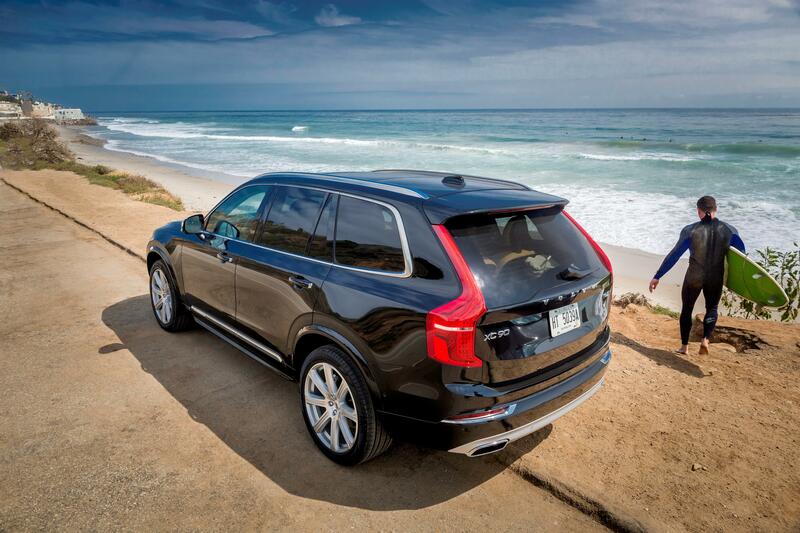 Active bending lights are just one example of the tech available for the Volvo XC90. Every time you turn the steering wheel, the LED headlights turn to illuminate around a turn in the road. In addition, the headlights work with a camera to detect oncoming vehicles or cars ahead, switching off the high beams automatically. A unique Volvo technology, run-off road protection constantly scans the road in front and behind the vehicle. If the system detects a possible runoff scenario, the seatbelts automatically tighten, keeping everyone in a position that’s safe. On the entertainment front, the optional Premium Sound by Bowers & Wilkins features a 12-channel amplifier with 1400W output, plus 20 speakers. The entire system has been designed for the best acoustics for the interior, so everyone enjoys the best seat in the house. Your vehicle should make you feel free, both with its power and its efficiency. With the Volvo XC90 you won’t be stopping at the fuel pump constantly yet getting up to freeway speeds or climbing big inclines requires little effort. Three different powertrains allow you to choose the one that’s best for your needs. The T5 2.0-liter turbocharged four-cylinder engine produces a nice 250 horsepower. With the T6 supercharging joins turbocharging, pushing output to 316 horsepower. Finally, the T8 adds a plug-in hybrid system, rocketing output to 400 horsepower while allowing you to travel on pure electricity for up to 19 miles. The balance of all-wheel drive, available with any of the powertrains, provides another big plus. No matter what the weather does at any time of the year, you’ll be prepared to stay safe. Experience the 2019 Volvo XC90 for yourself today by visiting The Wynn Group.